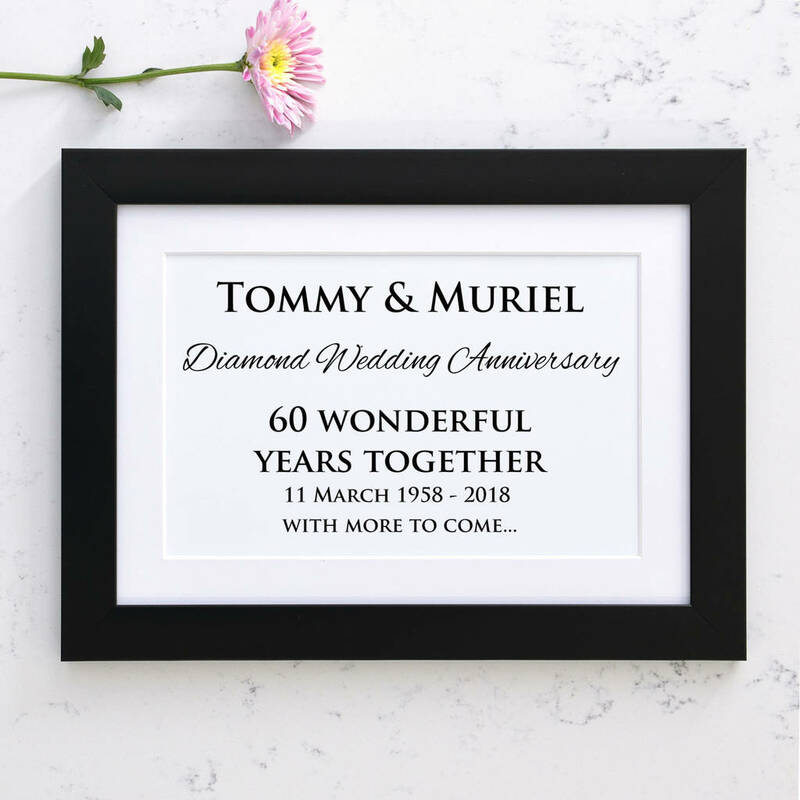 Capture your diamond years together with this simple, yet stylish piece of typographic art to commemorate a 60th wedding anniversary. What do you give the couple who has everything? 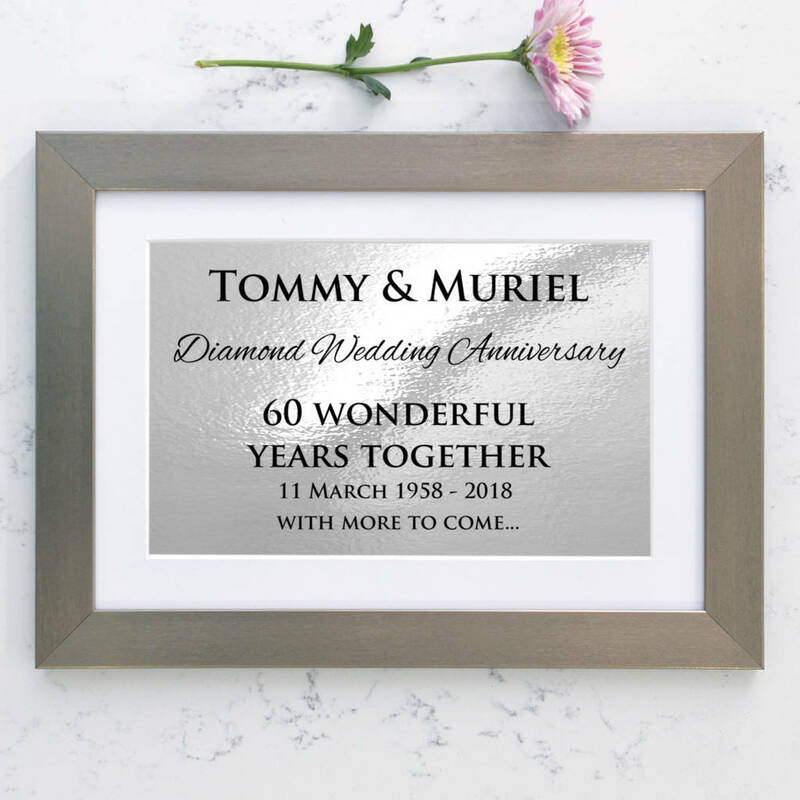 Celebrate their landmark diamond anniversary with this beautiful piece of unique and personalised art. 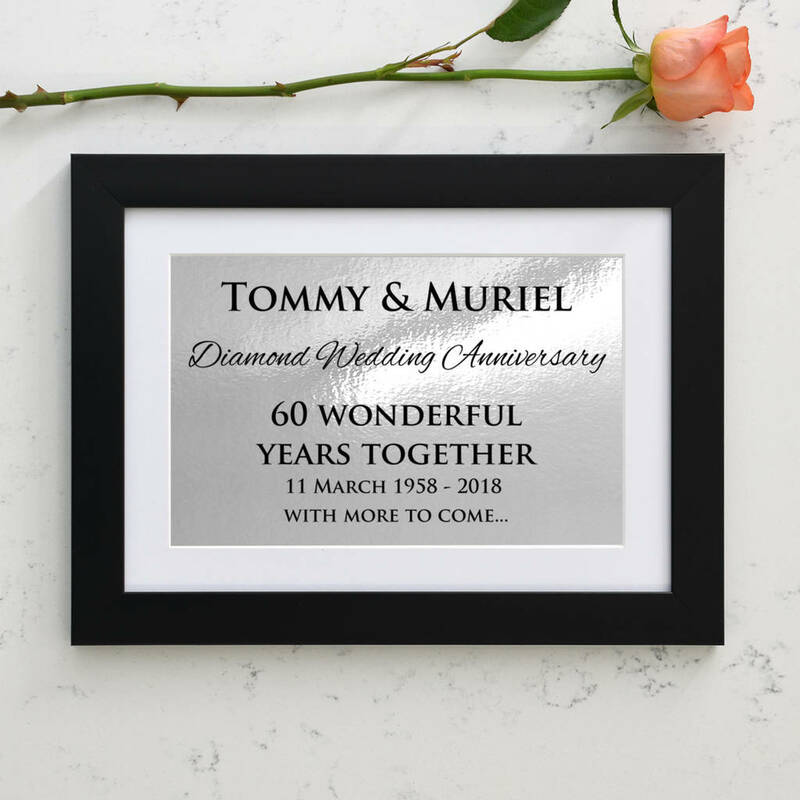 Add the couple's names at the top, we will add "Diamond Anniversary... 60 Wonderful years together" and then the date they were married below eg; 23rd May 1958 - 2018 (we will automatically add 60 years to the first year you provide to create the second year entry). The artwork comes in two options, a full metallic version with black text printed onto a metallic silver background or a non-metallic version where the black text will be printed onto a white background. Framed & Mounted Prints: These are printed onto high quality paper. This is then professionally mounted onto thick card to prevent the print buckling in the frame (if a white background is ordered). Our frames come with clear acrylic, not glass. The frame is 3cm in depth. Wall fixings are supplied. The print comes with a mount. The composite frames come in black or brushed silver with black edges. 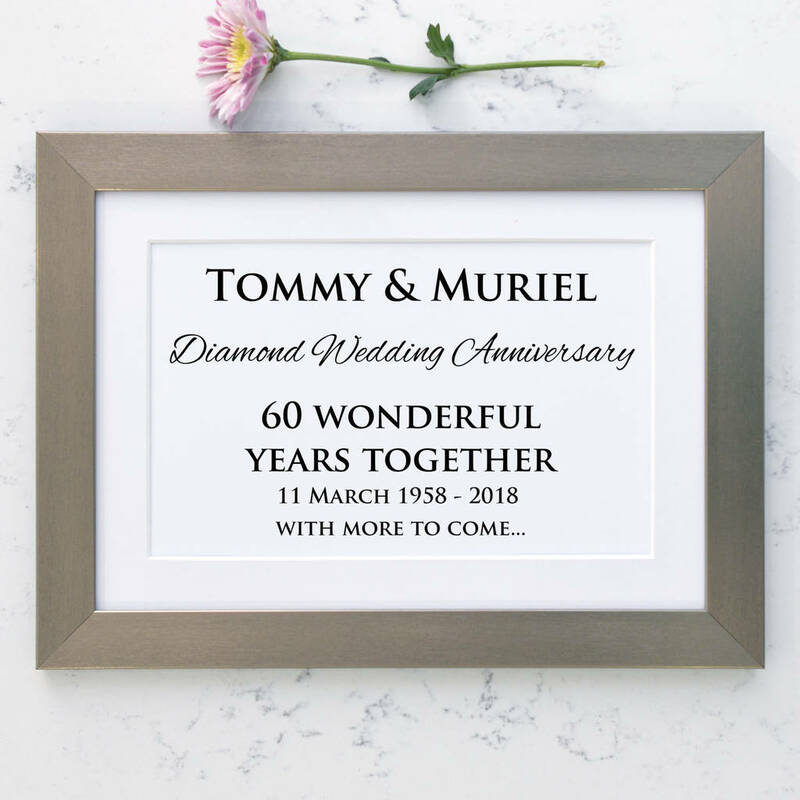 Medium Framed print – 51cm x 40cm.